The Pigeon River, located in the heart of the Smoky Mountains, offers breathtaking scenery and exciting whitewater rafting thrills! This magnificent river begins in North Carolina and continues through Tennessee. 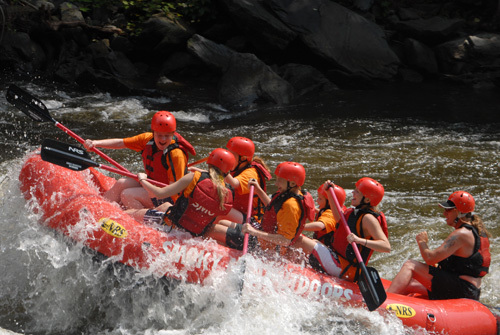 Experience white water rafting in Tennessee and raft through class 3 to 4 rapids. I have heard good reviews about white water rafting in the Smokies form our guest book and from TripAdvisor. I also have received an e mail from a past guest who said white water rafting was their favorite thing to do. They said they would definitely recommend Smoky Mountain Outdoors. I have not done white water rafting in the Smokies but I have in other areas. Maybe I will take my kids next time. I have heard that the views and the guides in this outfit are great. This is about an hour from our cabin. We visited Cades Cove in late August 2013. We turned off the main road onto a side road. There was a mother deer and her baby frolicking in a field. It was really cute to see them play together like that. We headed back onto the loop to go to the area where they have a homestead set up. We hit a bear jam (This is basically a whole bunch of cars parked along the road and holding up traffic). There was a little baby cub in a field running toward the front of our car. We were so close to that baby. I was wondering where the mother was. We did not get out. We drove a little further and saw a big bear up in a tree. It was just lounging around like it didn’t have a care in the world. We drove down the road and saw an adolescent bear eating berries. Evidently, the nuts they usually eat are not ready at that time of year yet. So, they are all coming out to eat the berries off of the trees. We went to the area with all the homesteads and the mill and we saw another bear up a tree. That is the most bears I have ever seen in the Cades Cove in the Great Smoky Mountain National Park. Cades Cove is a must when visiting the area. The train ride is along side the Nantahala gorge and Fontana Lake. The ride is great weather you are a “TRAIN” lover or just a lover of Nature. Scenery is beautiful. Great trip during October when leaves are changing. Meals in first class are very good according to the reviews. By the time you get tickets and take the trip, plan on a six hour day. There is a stop over where you can stretch your legs. 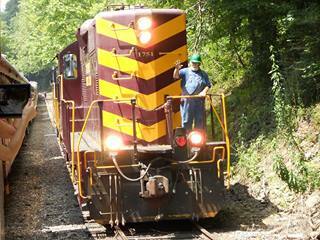 The train goes from Bryson City to Nantahala Outdoor Center and back. They offer free admission to the train museum afterwards which is cool. Car parking is $5. The Great Smoky Mountains Railway has launched its steam engine powered train. It is really cool. Departs Bryson for either Nantahala Gorge or Dillsboro. This is a couple of hours from the cabin. But, could be a nice scenic day trip. Dollywood, the Smoky Mountain family adventure, is Tennessee’s number one attraction with more than 130 acres of incredible rides, spectacular shows, heritage crafts and fun for the whole family. Enjoy the variety of rides, from thrilling roller coasters and daring water excursions to family rides and things for the little ones. 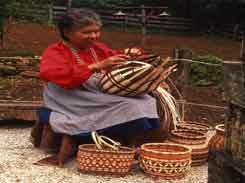 Experience the Smoky Mountain way of life through heritage crafts made on site. You’ll love the award-winning entertainment and toe-tapping music. There’s a new festival each season, so come back to enjoy them all. Dollywood’s Festival of Nations offers five weeks of international cultural events. Come hungry for Barbecue & Bluegrass in May and June, featuring the biggest names in bluegrass music and the country’s tastiest barbecue. The whole family will enjoy fun-filled days at Dollywood’s Great American Summer. Southern gospel music and master craftsmen demonstrate their skills at the National Southern Gospel & Harvest Celebration. Bring the entire family to make new memories at Dollywood’s Smoky Mountain Christmas. I have heard that there is so much more to Dollywood than an amusement park. I have not made it there yet, but we plan on going to Dollywood to see the shows and entertainment. There is even a kennel for your dogs. I read somewhere that Dolly Parton wanted to give back to her home town by building this amusement park. I believe the park is closed January – March. We went to the Chrokee Indian Village early in the morning. The “indian reservation” is basically an outdoor museum, at each booth people explain what they are doing. There is a village set up with a guide at each stop. You will be given a walking tour with a personal guide as well. Then, you can sit and enjoy all the demonstrations. They do get the audience involved. On site you will find the Museum of the Cherokee Indian, Oconaluftee Indian Village, “Unto These Hills” Outdoor Drama (scene reenactments, indian dances, etc…), Qualla Co-op Arts (blow dart demonstrations, pottery making, etc…) and Crafts (weaving-spinning-grinding techniques), souvenir shops, and other family attractions. I enjoyed the dancing and the song they sing to the dancing most of all. The reservation is located adjacent to the Great Smoky Mountains National Park and Blue Ridge Parkway. It is home to more than 12,500 members of the Cherokee Indian nation. The village is small and does not take long to go through. There is a River park nearby that is free and got good reviews. This is not something that I would take a trip to do again. If you are on the NC side, you may want to stop in. We know someone who is Cherokee, so it was neat for us to see some of her history. We went early in the morning, went through some shops on the NC side, hit Clingman’s Dome on the way back. I wish we had also stopped at Mingus Mill on the way back. 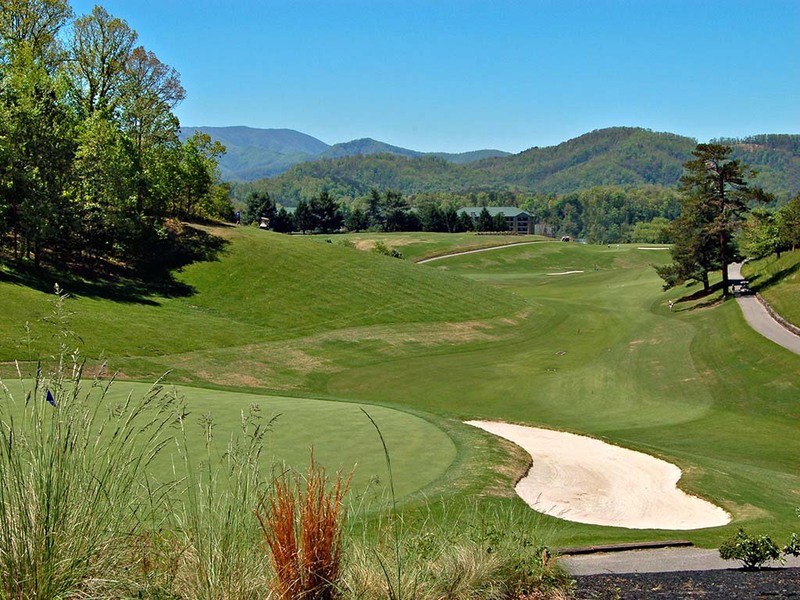 The Gatlinburg Municipal Golf Course is open year-round with modern facilities, fully equipped pro shop and food services area. This beautiful 18-hole course was designed by noted golf course architect William Langford. In 1993 it underwent a major renovation by Bob Cupp & Associates of Atlanta. Play The legendary hole #12, affectionately known as “Sky Hi”. It’s 194 yards in length and drops 200 feet, tee to green, making it one of the most dramatic holes in the country. The #3, 529-yard par 5 is called “Long Lane,” and for a good reason! And hole #17, a 231-yard par 3, offers little in the way of forgiveness. All together, 6,281 yards of challenge and fun. The course has no driving range. I have read several reviews that there are gnats sworming around your head. So, bring a dryer sheet or some bug spray. This museum is located in Dollywood, but there is no extra fee to visit. It chronicles the history of Southern Gospel music and has sections of the museum dedicated to different artists and eras. Each year, the Southern Gospel Hall of Fame inductions are held at Dollywood so it draws in a lot of different people.